Wolters Kluwer Health is a leading provider of information for professionals and students in medicine, nursing, allied health and pharmacy. 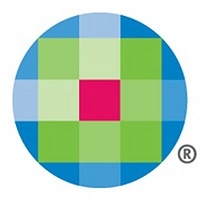 Wolters Kluwer operated under four divisions as of 2013: Legal & Regulatory Solutions (sold to Peninsula Business Services in 2017), Tax & Accounting, Health and the Governance, Risk & Compliance Division. The company is active in over 150 countries. Approximately 74% of the company's revenue came from online, software and services in 2013. The United States medical publishing business is run through Wolters Kluwer Health. Wolters Kluwer is listed on the Dow Jones Sustainability Index. The company received the Bronze Class Sustainability Award 2014 from RobecoSAM. Wolters Kluwer is recognized as one of the “Global 100 Most Sustainable Corporations in the World” by Corporate Knights.